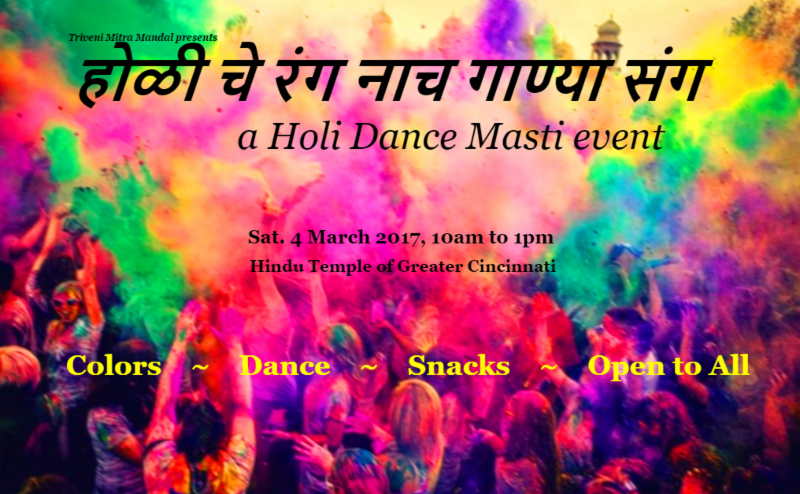 Let's play Holi with organic colors, enjoy मस्त snacks and pick up some new Bollywood/Bhangra moves. Get your Tickets for Holi Dance Masti Now! Kids up to 9th Grade enter FREE with ticketed parent. Note: Kids not accompanied by a parent must purchase a ticket. Social Event - OPEN to ALL! Invite your friends & neighbors - let's introduce all to our Holi fun! Jalebi eating contest, Photography competition and more! Get your tickets ASAP - like, TODAY!